When Reebok is giving an additional 30% off in addition to their end of the summer sales, I can’t help myself. The CrossFit Speed TR has been my favorite shoe for the gym so getting a second pair for $56 was a steal. The color is called “Vitamin C” and looked a lot more orange-ish on the web site when I ordered them. The color of my photo makes them look even different; they are more of a pink/salmon in person. I’ll rock ’em, because I’m not returning them. 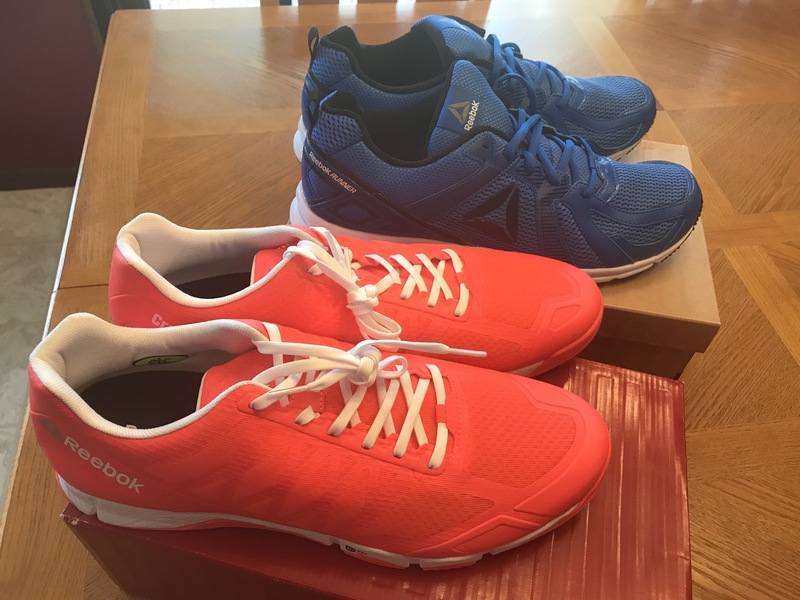 For only $28, the Reebok Runner was an easy selection, especially since my size was available in blue. My current running shoes are about a year old, so might be up for retirement. The sockliner in these has a memory foam, which I’m looking forward to trying.